If you've purchased IKEA furniture in the past, you probably already know how difficult it can be to assemble. If their latest announcement is anything to go by, it seems IKEA finally understands that as well. As reported by TechCrunch, the furniture company today announced the roll-out of their new assembly service developed in partnership with TaskRabbit. The service, simply dubbed "IKEA Assembly & Mounting," will let you pay extra to allow TaskRabbit "Taskers" to enter your home and assemble any given piece of IKEA furniture for you. 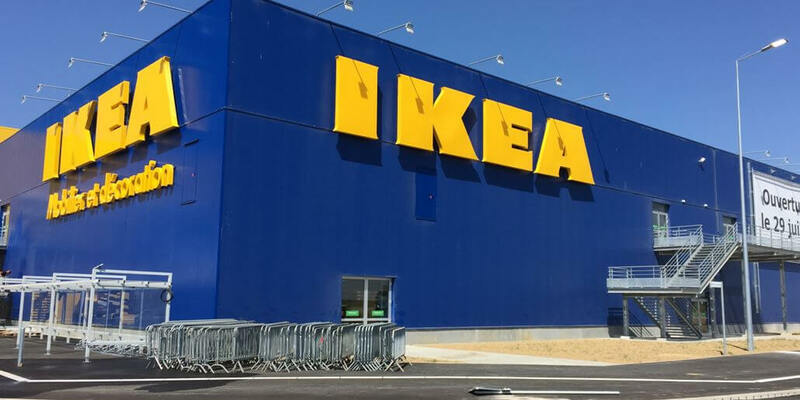 According to IKEA, customers who choose to take advantage of their new assembly service will be able to choose a specific date and time for the assembly to take place. If you're worried about getting scammed, IKEA promises you'll only have to pay once the job is complete and all Taskers are "qualified and fully vetted" prior to being sent out to assist you. As far as pricing goes, IKEA's new assembly service will start at $36 with users being charged a "flat rate per type of item." To determine how much your specific piece of furniture will cost to assemble, simply download the TaskRabbit app for iOS or Android and add the items to a new task. As TechCrunch notes, IKEA's new assembly option is likely the company's answer to Amazon's similar in-home furniture assembly service. Still, as nice as the service sounds, some users may be a bit leery about allowing strangers into their homes.